Duac is a medication that is used to treat mild or moderate acne, spots, and pimples. These conditions appear on your skin because of an overproduction of a chemical called sebum, clogging pores and allowing oil to build up, creating blackheads. If these blackheads become infected with bacteria they will develop into acne. This will usually present itself on the face; however it can appear on other parts of the body, particularly the neck and upper back. Duac Gel targets these pimples directly and aids in the prevention of new impurities. 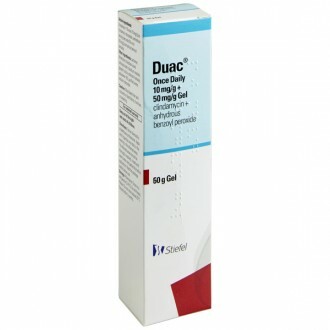 Buy Duac Gel online from Independent Pharmacy – a UK registered online pharmacy and receive next-day delivery if you place your order before 4pm. As a topical antibiotic, Duac works by killing the bacteria responsible for the spread of acne. For most people with a longstanding history of acne, Duac is extremely effective, showing an improvement in your condition within the first month of treatment. After three months, the acne will have cleared up altogether. After this, it is recommended to continue using the spot cream in order to prevent the acne from returning again. 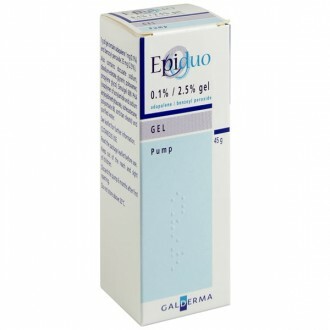 Duac Gel works by making use of two active ingredients known as clindamycin and benzoyl peroxide. This is a class of medications known as anti-acne preparations. 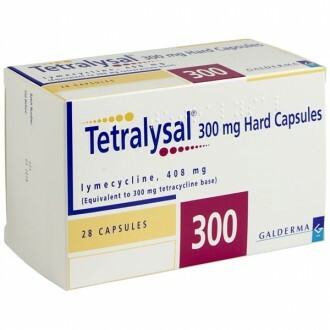 Clindamycin is an antibiotic which stops the bacteria from reproducing. 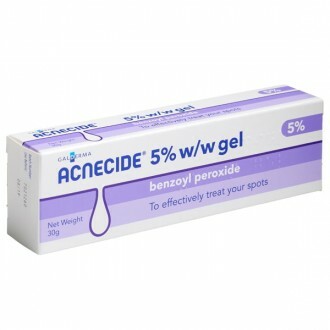 Benzoyl peroxide then kills the bacteria, reducing pimples and acne. 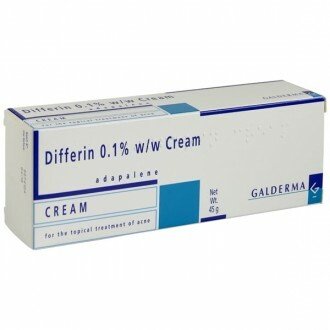 Clindamycin is known as a macrolide antibiotic and is one of the most commonly used antibiotics for treating acne. Benzoyl peroxide works by removing blockages from the skin’s pores, and also has an added antibacterial action. Topical antibiotics such as Duac are an excellent choice for those who cannot take, or do not like to take, oral antibiotics. Duac 3% (20mg) and Duac 5% (50mg). Duac is a daily gel, meaning it should be applied once a day, usually in the evening. Before applying the acne cream, carefully wash and then rinse the area with warm water then dry gently. Squeeze some of the gel from the small tube and apply it to the skin with your fingers. Ideally you should use an acne wash which is oil free. Pat the skin when you dry it to avoid aggravation. Like all acne medications, Duac will take a while to work. Most people will see an improvement after one month. If there is no improvement after two months then treatment should be stopped. Acne is a fairly common condition that affects many people throughout their life, but it is not contagious. The severity of the condition will vary from person to person and can be anything from small whiteheads and spots to large pustules and cysts. The NHS estimates that in the UK approximately 80% of people between the ages of 11 and 30 will experience acne at some point. For minor cases, the introduction of a daily cleansing routine can be enough to help the acne clear up at home. If you are suffering from acne it is recommended that you avoid using too many cosmetic products. Squeezing the spots should also be avoided as this can cause permanent scarring. In most people, symptoms improve with age however in some cases the acne will persist into adulthood. Duac may not be suitable if you are using other medications to treat acne, especially if they are alcohol based or contain vitamin A (such as Isotrex or Differin). Common side effects or allergic reactions to the product can include dry skin, redness, burning, itching, or skin peeling. Prior to dispensing, Duac Gel should be stored in the fridge (between 2°C and 8°C). 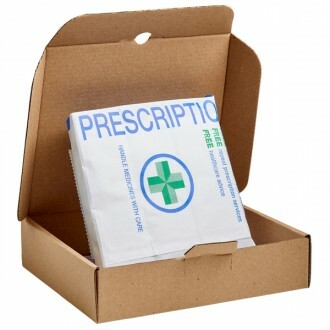 Once in use, it may be stored at room temperature, up to 25°C and used within 8 weeks of opening. While designed primarily to treat acne and kill acne-causing bacteria, some find that Duac Gel also helps to diminish the appearance of acne scars. However, acne scars can be hard to treat and will generally fade over time. To prevent acne scars it is important not to pop or pick spots. Is Duac an effective acne treatment? Duac is a treatment which combines two of the most commonly-used acne treatments. No treatment will completely cure acne, but Duac should remove 2/3 of blemishes within 30 days of use. 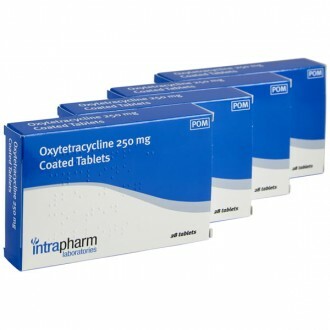 First, it contains clindamycin, which is the top antibiotic used to treat acne in both the UK and in Canada. 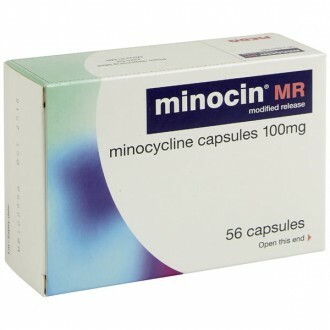 Unlike minocycline (the primary treatment in the US), it will not cause teeth to become stained or discoloured. The second component is benzoyl peroxide. This is the most popular ingredient in all acne treatments. 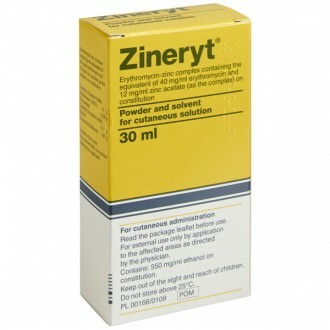 It contains benzoin and hydrogen peroxide, which kill acne bacteria which remains after the clindamycin treatment. This combination of ingredients ensures that the bacteria will not become resistant to one antibiotic. Duac tends to work within 48 hours, which is notably faster than other combination acne treatments such as Zineryt or Differin. Should I keep using my moisturiser? A moisturiser will help to prevent dry skin, which is very important in treating acne. Moisturiser can be applied over a layer of Duac. However, do not use a moisturiser containing an alcohol, as this may increase skin irritation. Instead, select an alcohol-free alternative. Will using Duac cause dry skin? 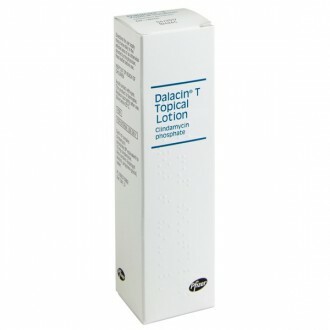 1 in 10 patients who use Duac will notice dry skin to some extent. This may lead to mild redness and peeling where the treatment is applied. This side effect may be more pronounced when Duac is used in combination with certain other medicines, cosmetics, toiletries or soaps. 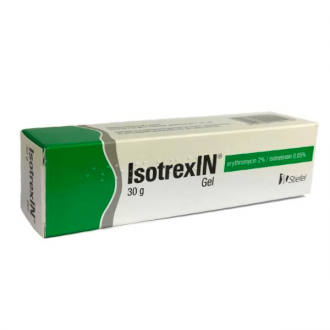 Specifically, products which contain isotretinoin, tretinoin and tazarotene may interact with benzoyl peroxide and lead to skin irritation. If you must use these products as well as Duac, try to spread out the time of day when you apply them. How should I store Duac? Duac should be stored below 25°C and kept for a maximum of two months after opening. Keep all medications away from children. Can I still drink alcohol when using Duac? Duac will not react with the drinking of alcohol; however it might react with other topical acne products that contain alcohol. How will Duac Gel benefit me? Can I buy Duac over-the-counter? Duac is a prescription only medication and is therefore not available over the counter. In order to purchase Duac gel you will need a prescription from a medical professional. If I use Duac will my skin dry out? Approximately 10 percent of individuals who use duac will experience some level of dry skin. This can manifest itself as redness or peeling in the area in which the treatment has been applied. This kind of irritation can become more noticeable if duac is used in conjunction with other medication, cosmetics or toiletries. 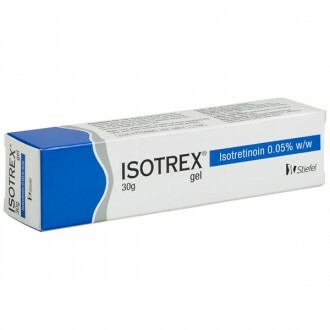 More specifically, products which contain ingredients such as isotretinoin, tretinoin and tazarotene can increase irritation by interacting with the benozyl peroxide. If you wish to use these products alongside Duac, it might be a good idea to spread them out throughout the day. Duac works by making use of two active ingredients. 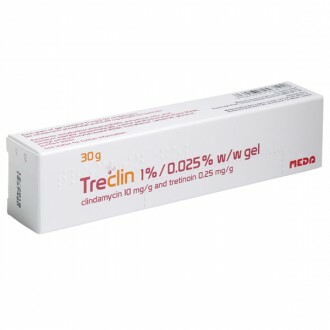 The first one is called clindamycin, the number one antibiotic in the UK for treating acne. 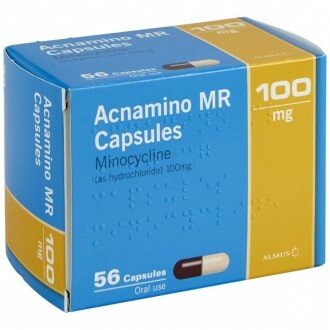 This has benefits over minocycline (which is the number one antibiotic used in the US), as it does not discolour or stain teeth. 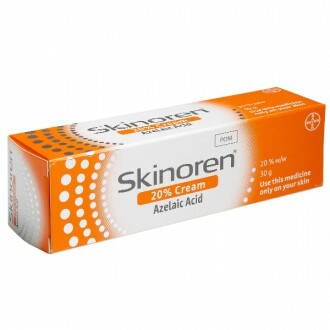 The second active ingredient is known as benzyol peroxide, an ingredient which can be found in most acne treatments. The benzoin and the hydrogen peroxide work by killing any acne bacteria remaining on the skin. By combining with clindamycin these ingredients stop the bacteria from becoming resistant to one antibiotic. Studies have shown that Duac works within 48 hours of use, much faster than any other combination treatment available on the market. Is Duac once daily gel? Yes – Duac Gel is intended for once-daily application to help treat and prevent breakouts. Is Duac Gel safe during pregnancy? Duac Gel is not recommended during pregnancy. This is because it contains benzoyl peroxide. Consult a medical professional for advice on a suitable alternative if you are pregnant.